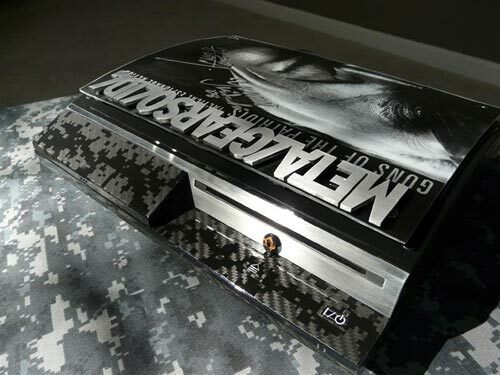 Check out this stunning Metal Gear Solid 4 PS3 mod from Morpheon Mods. The entire PS3 and controller is a combination of Carbon Fiber and Midnight Black done in our own digital camouflage technique.This is protected with nine coats of automotive DuPont Chroma Clear clearcoat. A full size Carbon Fiber Fox Hound logo appears amongst the digital camouflage. The final product is a uniform finish that reflects like a mirror. 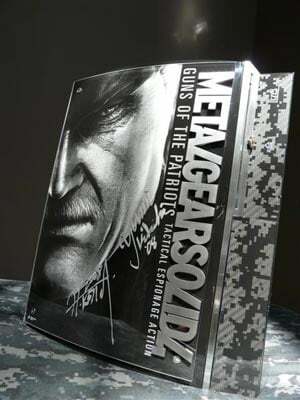 If you want to get your hands on this amazing mod, it is currently being auctioned for charity on ebay, and it is even autographed by Hideo Kojima.